Each year the United States averages about 6 million motor vehicle collisions. These traffic crashes cause injuries for 3 million people, 2 million of which will become permanent injuries. Large commercial trucks often receive negative media attention regarding the accidents in which they cause and the related injuries and fatalities. Due to their enormous structure, size, and weight, commercial vehicles are often involved in some of the most catastrophic accidents each year. Many Arizona residents quickly assume that the trucker operating their commercial vehicle is to blame for the collision. However, passenger vehicle error accounts for a significant portion of the truck crashes occurring each and every day on Arizona roadways. Due to the variance in size between a typical vehicle and a large commercial truck, many of the collisions between the two result in devastating injuries and damages to all of those involved. 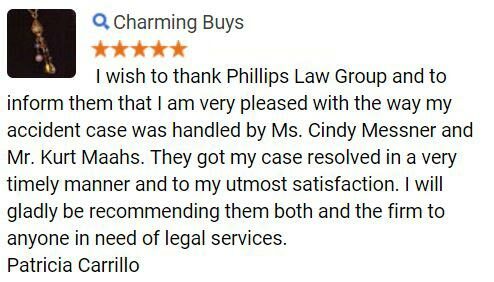 In our many years of providing professional legal services to the Arizona community, Phillips Law Group has seen countless victims of truck and auto accidents. 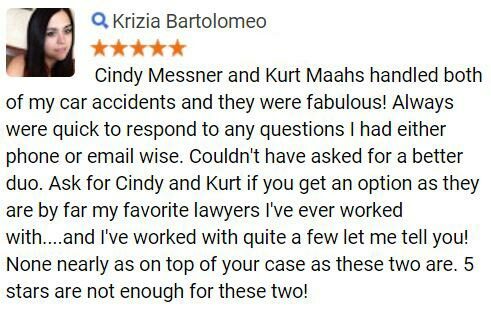 When an accident victim comes to us seeking help, we make sure to make the client feel as comfortable as possible during this incredibly troubling time. We sit down and get to know both our client and their case, allowing for them to develop a trusting relationship with our personal injury lawyers. If you or a loved one has suffered injuries following a crash, please complete a Free Case Review today to speak with a Phoenix accident injury attorney. While many Arizona drivers assume that truckers are responsible for causing thousands of accidents on the roads every day, passenger vehicle error actually accounts for a significant portion of collisions that occur on a daily basis. Since many of these crashes are not caused by the operator of the commercial truck, all Arizona motorists must be aware of the potential dangers of driving in close proximity to a large truck and what can be done to prevent an accident from taking place. The following passenger vehicle errors below are some of the most commonly seen mistakes on the Arizona roadways. Blind spots present a risk for any driver. However, the blind spot of a truck is far greater in size than that of a regular vehicle. Often called a trucks No Zone, the blind spot of a commercial vehicle is the area where the driver is unable to see. Therefore, all motorists must make every effort to avoid driving in this region at all costs. When the trucker cannot see you in any of their mirrors, the likelihood of crash increases, as about one-third of all cars vs. truck crashes occur in the trucks No Zone. Driving in close proximity to a large truck is far different than that of a standard car. Therefore, when looking to change lanes near a large truck, drivers must make sure that they account for the size of the truck, the distance that this truck is from the lane change, and the brake time that it will take for the truck to reduce speeds. Due to the enormous weight of typical truck, braking periods are much longer than a regular vehicle. All motorists must be aware of the longer time in which is takes a large truck to brake and come to a slowed speed. As such, tailgating behind these vehicles places the following car in serious danger. If the driver behind the truck is tailgating too closely, they are likely to suffer severe injuries in the case where the trucker brakes suddenly. Underride collisions are some of the most deadly types of crashes, often triggered from tailgating. Many motorists in Arizona become comfortable after several years of driving. While it is good to feel comfortable operating a vehicle, no driver should ever become too comfortable on the roads or highways. For instance, operating a vehicle with one hand places the driver of this car at serious risk in times where they are passing a large truck. These large vehicles often create wind gusts that, if not maintaining control, can cause the passing vehicle to swerve into other lanes, potentially hitting other cars on the road. One of the most common types of passenger vehicle error comes in the form of neglecting to use turning signals. Traffic indicators are essential to safe driving. Other vehicles depend on these signals to maintain awareness of what the passing cars and trucks are doing on the road. Using turning signals makes all drivers aware of driving intentions. Adverse weather conditions often frustrate drivers in Arizona, as they commonly create additional traffic and stoppage of the regular flow of vehicles. Unfortunately, this delay pushes other drivers to behave recklessly behind the wheel, swerving in and out of lanes to pass slower moving vehicles. Large trucks are unable to see swiftly moving smaller cars, especially when bad weather is present, often causing severe motor vehicle collisions. Phillips Law Group has dealt with many passenger vehicle error cases in Arizona. Throughout this time, we have come to understand just what it takes to place our clients in the best position to win the maximum compensation possible. When a motor vehicle crash occurs, the last thing that accident victims want to think about is dealing with legal proceedings. 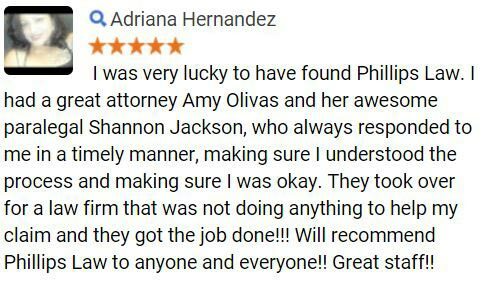 Our Phoenix personal injury attorneys take it upon themselves to ensure that we are focusing on your case and leaving you to concentrate on recovery and spending time with family. If you or a loved one has suffered from any injuries following a crash, contact our accident injury lawyers for a free, no-obligation consultation. 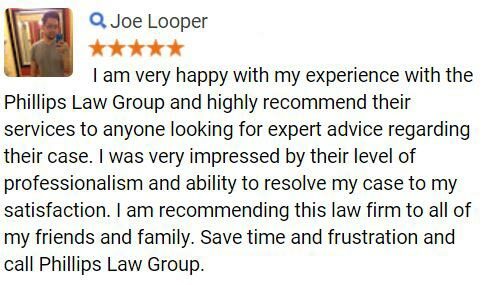 Complete a Free Case Review today to learn more.